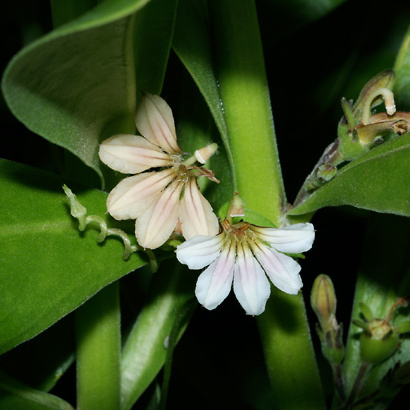 Description: The fanlike flowers emerge from the leaf axils and have 5 white or lilac aging to tan, often purple-streaked, spoon-shaped petals on the lower half of the flower. 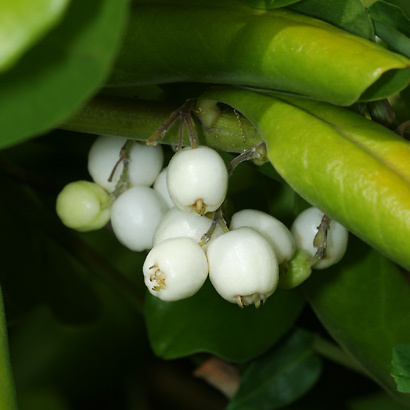 The flowers are followed by round, white berries with persistent sepal lobes. The corky seeds are buoyant and can remain viable in the ocean for a year as they are carried to new shorelines. 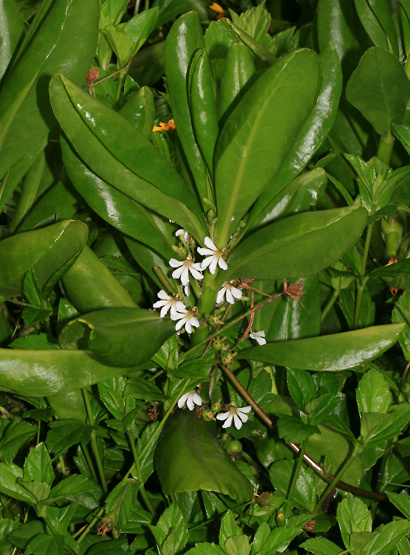 The leaves have curled-under edges and are shiny, bright green, somewhat succulent, alternate, and obovate in shape with a broad, rounded tip. The plants are dense, spreading, mounding, thicket-forming shrubs. 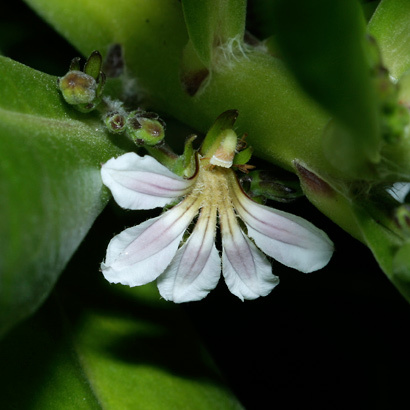 Here in Hawaii, Beach Naupaka grows wild along the coastlines and is also used as a landscaping or hedge plant in coastal areas because of its salt tolerance and attractive form. 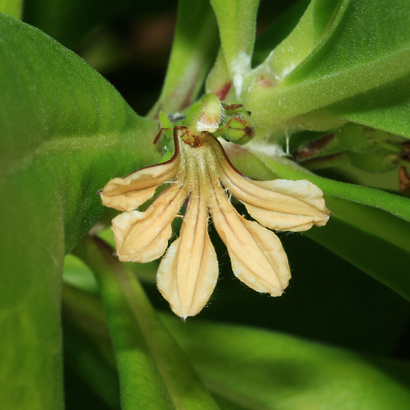 According to Hawaiian legends, the one-sided flowers of Beach Naupaka are a symbol of lovers torn apart and never reunited.